Participants were from the Vodafone office in Maastricht, NL. This division was facing pressures to cut costs significantly, so the CIO and 90 leaders of the 800 person division convened over a series of events to craft a collective response. Decisions made were implemented and continued to ripple through the organization for years. A 2-day off-site was conducted with the top 22 leaders. The 2-day program produced the scoping and key decision points to be worked out in the subsequent event. 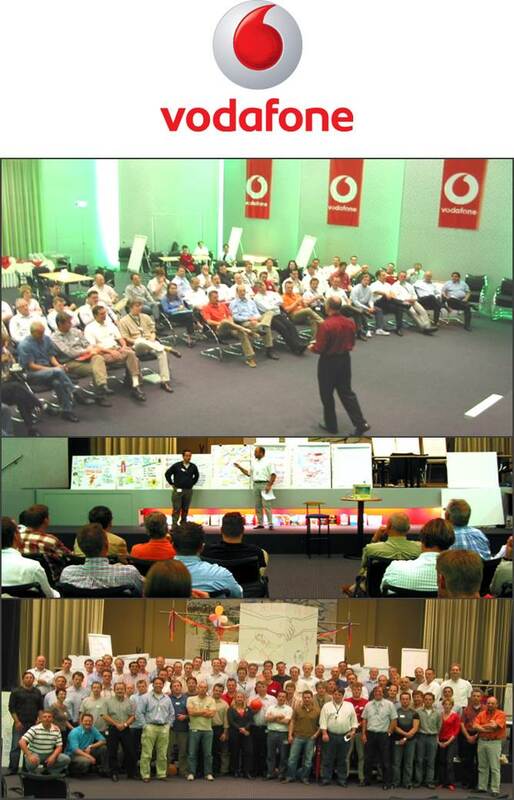 The 3-day session, involving 90 managers and other staff - conducted at Vodafone in Maastricht, NL. The 3-day program produced a deeper understanding of value chains, a wide array of process and organization improvement concepts.